Why would I need self storage in Bowie, MD? There are a variety of reasons why you might need self-storage in Bowie, MD. How much is a storage unit in Bowie, MD? The cheapest storage unit in Bowie, MD is $46.00 per month. What size storage units do you have available in Bowie, MD? In Bowie, MD we have sizes that range from 5'x5' to 10'x20' to suit your storage needs. How much is it for a 5'x5' storage unit in Bowie, MD? The cheapest 5'x5' storage unit in Bowie, MD is $46.00 per month. Bowie is a thriving city in central Maryland that has become popular for its close proximity to Baltimore, Washington, D.C., and Annapolis. The city offers more than 1,000 acres of parks and preserved open space, including 75-ball fields and at least 22 miles of trails and walking paths. The city of Bowie claims its roots in the colonial period, when farms and early churches dotted the landscape. Thanks to the area's rich soil, the land was prime for tobacco farming, and plantation homes like the Belair Mansion began to spring up. After World War II, the region began to experience significant changes. 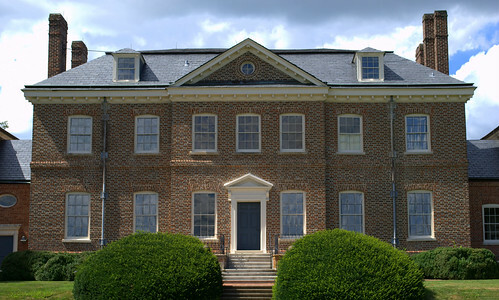 The Belair Mansion was converted to Bowie City Hall and a police station, from 1964 to 1977. Although the city was originally called Huntington City, it was renamed in 1880 in honor of Oden Bowie, the president of the Baltimore and Potomac Railroad and the former governor of Maryland. The Bowie of today offers a diverse range of recreational opportunities, museums, historical sites and entertainment venues such as the Bowie Playhouse. Nearly 2,000 acres within this 16-square-mile city are set aside for green space and public parks, including more than 70 sports fields, a golf course and an ice arena. Bowie also hosts a senior center and a city recreation center that offers a number of programs and community sports. Historical sites like the Belair Estate and Stables, the Fairview Plantation, and the Sacred Heart Catholic Church make it enjoyable to learn about Bowie's early days. Although the majority of residents commute beyond the city, Bowie does provide a variety of local jobs. The largest employers in Bowie are Prince George's County Public Schools, Inovalon, the City of Bowie, and major retail stores like Walmart and Target. However, you'll find that most people make the easy commute to one of the neighboring cities such as Baltimore or Annapolis. Bowie schools fall under the jurisdiction of Prince George's County Public Schools. There are also a number of private schools in Bowie, including both faith-based and secular campuses. The nearest post-secondary institution is Bowie State University, located just north of the city. Utilities: The city of Bowie provides water services for many residents, with the remainder receiving services from the Washington Suburban Sanitary Commission. Baltimore Gas and Electric Co. is the primary energy provider in the area. Garbage and Recycling: Trash and recyclables are collected curbisde. Transportation: There are several public transit options in Bowie, including the Metrorail and Metrobus routes. Considering its close proximity to major metropolitan areas like Washington, D.C., Bowie is a comparatively affordable place to live. However, compared to the national average, it's far more expensive. Prices are expected to rise, which means you could make a good return on your investment. Our lowest priced units in Bowie, MD average $46.00 per month. 63 people have reserved units in Bowie, MD in the past 30 days. There is 1 location within Bowie, MD's city limits.